Lock in a great price for Hotel Metropole – rated 8.1 by recent guests! Room size is bigger than at Sheraton at taipa. Worth every bath i paid. Breakfast options were very traditional, not a great deal of Western selection however it was great to be able to try something new. Location was perfect, very close to the old town with the big casinos in the opposite direction; very easy to get everywhere on foot. Convenient location for visiting the old Central area. I like the staffs. They provided us info on how to get to the tourist sites. They also let us leave our luggage since we arrived early. Very convenient as well since they have a free shuttle from the hotel to the ferry (back and forth). Upon check out I have left a bracelet that belonged to my daughter. The hotel tried to call me but I didnt hve a local number. Lulu at the reception was kind enough to help me out and confirmed my daughter's bracelet was still at the hotel. I am a huge fan of Metropole Hotel and I have made it a point of staying there on my trips to Macao for many years. The rooms are clean and modern and the beds are comfortable on a high standard. The hotel location is perfect if you want to be centrally located to all of the great attractions downtown. The desk staff are friendly and extremely helpful in all of my needs while I am here including help with taxis and language differences. Prices here are a bargain as compared to other properties in Macao. I do not think that any one can find any bad comment in this hotel.. its really amazing.. every thing is excellent.. Very convenient location, close to city center and facilities, very quiet hotel. Values for this price. Hotel Metropole This rating is a reflection of how the property compares to the industry standard when it comes to price, facilities and services available. It's based on a self-evaluation by the property. Use this rating to help choose your stay! 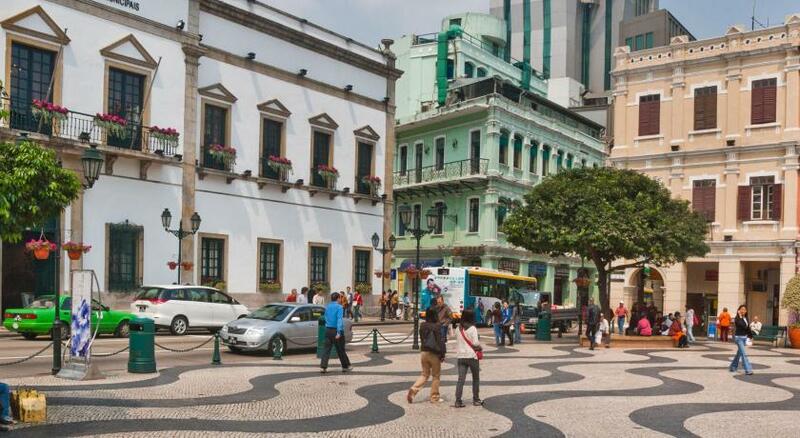 Hotel Metropole is in the busy Macau City, a short 3-minute walk from Senado Square. 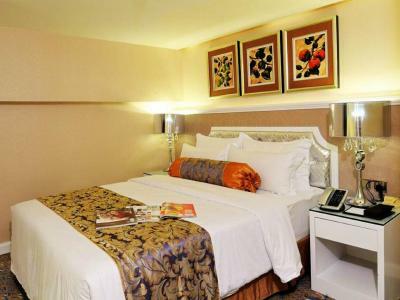 It offers modern accommodations with a restaurant and soundproof rooms with a flat-screen TV. The hotel is 4 miles from Macau International Airport. 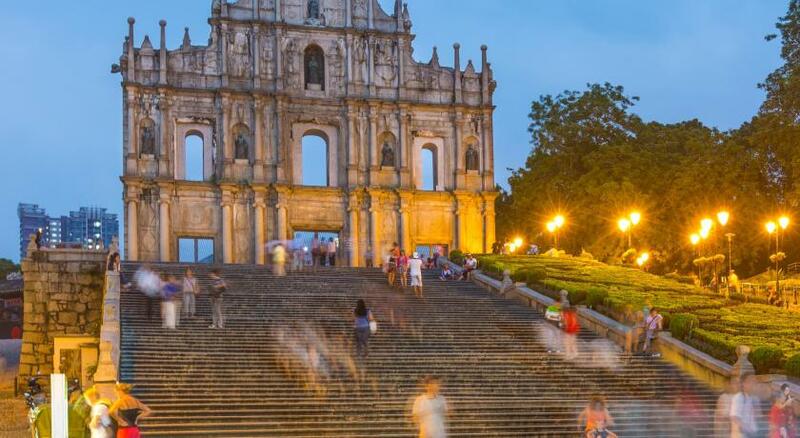 Macau’s vibrant casinos are located a 15-minute walk away. Fully air-conditioned, the guest rooms at Metropole are furnished with a minibar, tea/coffee making facilities and a flat-screen TV with cable channels. The private bathroom has bathroom amenities and a hairdryer. Laundry and dry cleaning services are available at the hotel. Luggage storage can be found at the 24-hour front desk. The hotel’s restaurant serves a variety of Chinese and Cantonese dishes. This property also has one of the top-rated locations in Macau! Guests are happier about it compared to other properties in the area. When would you like to stay at Hotel Metropole? Room is fitted with a mini-bar, tea/coffee making facilities and a flat-screen TV cable channels. Located on the 7th to 10th floors, room offers free internet access. Bathroom features a bathtub and separate shower. Duplex suite features a mini-bar, tea/coffee making facilities and a flat-screen cable TV The private bathroom has bathroom amenities and a hairdryer. The price is for 3 guests, its included an extra bed. 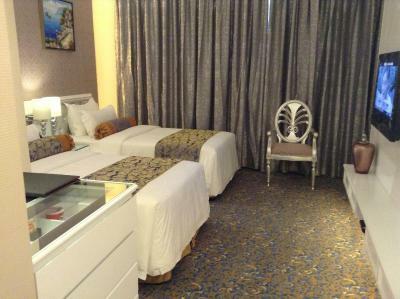 Located on the 3rd to 9th floors, this room consists of a Superior Double Room connected with a Superior Twin Room. It offers free internet access. Bathroom features a bathtub and separate shower. This twin/double room features a cable TV, electric kettle and mini-bar. This family room has a cable TV, electric kettle and mini-bar. Featuring a European design, rooms are fitted with a mini-bar, tea/coffee making facilities and a flat-screen TV with cable channels. The private bathroom has bathroom amenities and a hairdryer. Metropole Hotel located in the most central business and shopping center in Macau, and abuts on the largest shopping center New Yaohan, with the leisure, entertainment, food, and shopping within easy reach. With an overhaul and refurbishment in 2012, the hotel boasts 112 excellent rooms with fresh style, luxury and elegant Continental flavor, and Chinese styles with rich traditional culture. The elegant yet simple design, unique layout, and the meticulously-built “Urban Exquisite Hotel” brand are aimed at providing exclusive ideal space for guests on leisure vacation and business stay. 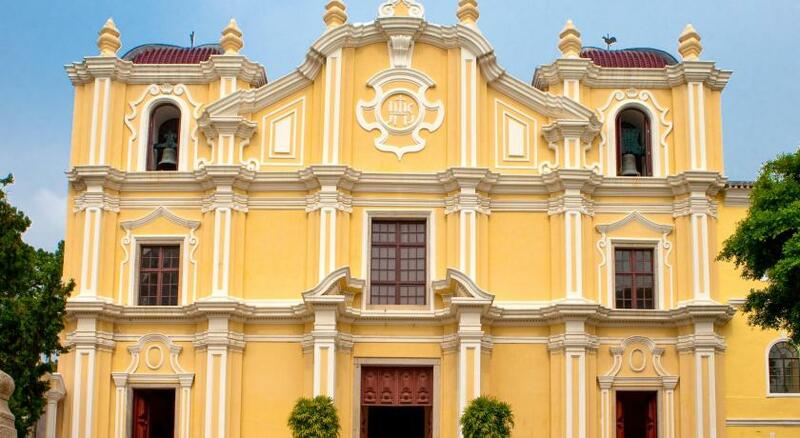 Macau's old town is an exotic mix of Portuguese and Chinese influences. The iconic facade of St. Paul's Cathedral is a must-see. House Rules Hotel Metropole takes special requests – add in the next step! Any additional older children or adults are charged HKD 400 per night for extra beds. Hotel Metropole accepts these cards and reserves the right to temporarily hold an amount prior to arrival. One of the most picturesque neighborhoods in Macau! Location is perfect! Super near to the attractions, for example Ruins of St. Paul's, just a few minutes walking distance. They provide luggage storage too! the rooms were bit small compare to the charges. It a little bit far from shuttle bus stop. The Duplex Suite was very roomy for a family of 5. It’s very close to the square and ruins. It’s about a $15AUD taxi ride the main Casino area. The included breakfast and dinner was good. Good value for money from our stay at the Metropole. There is no shuttle bus for the hotel but catch the one to the Grand Lisbola and it’s a couple of minute walk. The staffs who assisted us during our stay were efficient. The rooms were clean and the location of the hotel is accessible. I thought buffet breakfast is provided but is just bread and some drinks is refillable.